The gift will provide $1.5 million to name the John and Willie Leone Family Strength and Conditioning Center in the Lasch Football Building as part of the Football Excellence Fund. The remaining $500,000 will go to increase the Willie Leone Endowed Scholarship Fund in Music Theatre. 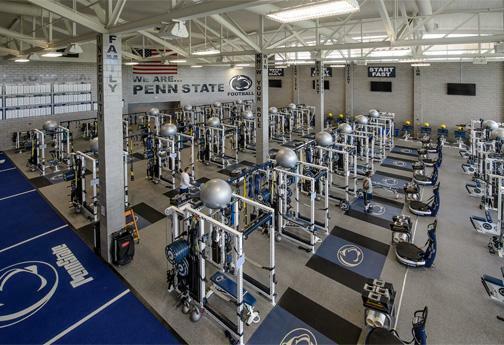 The John and Willie Leone Family Strength and Conditioning Center will provide funding for the Penn State football program. The strength and conditioning facility will be officially named in honor of the gift. Leone is president and chief executive officer of Bonney Forge, with manufacturing operations in Mount Union, Pa., Houston, Texas, Shanghai, China and Bergamo, Italy. Bonney Forge, founded in 1876, is an industry leader in manufacturing and marketing forged steel products. “Whether you’re in athletics, academics, or business, the key to success is preparation,” Leone said, “and I want to be part of the Coach Franklin’s vision for the program, which emphasizes preparation. We wanted to make a gift that would allow his plans to take a significant step forward." 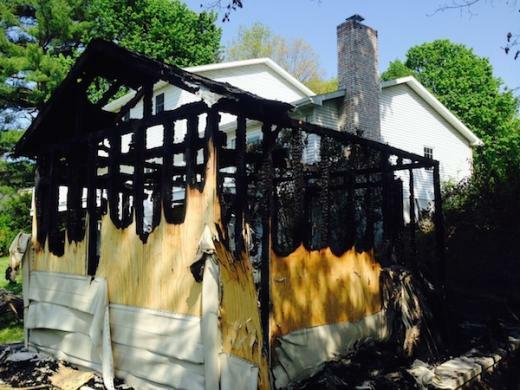 The man who already faces charges for allegedly vandalizing a cemetery in Ferguson Township now faces arson charges in State College. State College police have obtained arrest warrants for Timothy L. Penrod, 24, of State College, for two arson fires that occurred May 18 in State College within minutes of each other.